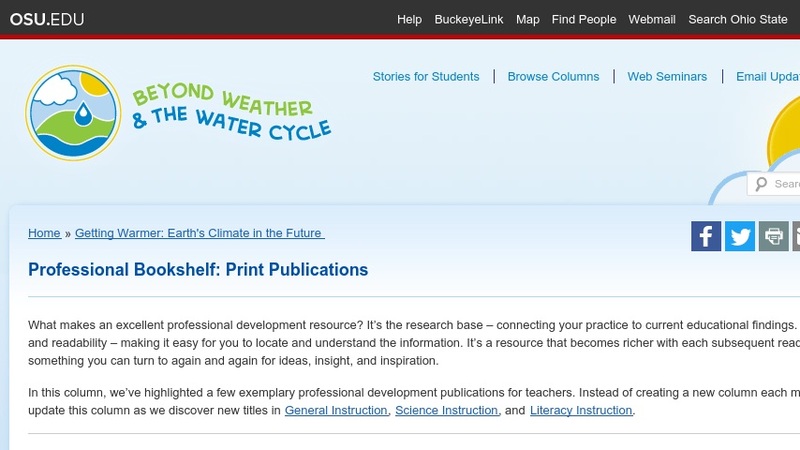 This column highlights exemplary professional development publications for teachers. The publications are grouped under three headings: general instruction, literacy instruction, and science instruction. The column appears in the free, online magazine Beyond Weather and the Water Cycle, which focuses on the seven essential principles of climate science.